To eat farmed salmon or not? Recently an article was posted about eating farmed salmon vs. eating wild salmon. The author gave numerous reasons why not to eat the farmed salmon, but gave no reasons why not to eat the wild salmon. I’m not going to cite all the reasons for eating this one vs. that one. What I am going to post is the wisdom from Spiritual Presence about eating salmon. 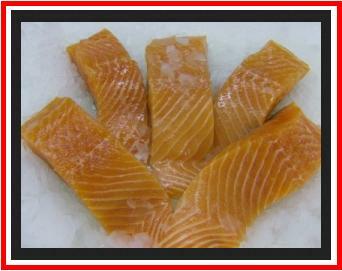 Salmon is a nutritious food and can be eaten no more than once a week. There is no difference between eating the wild salmon or the farmed salmon. The impact on nature from eating salmon more than once a week is too great. Remember—no more than once a week. There are so many things to know about foods. From this point on, I’ll be writing information about foods and beverages. If there is a particular food or beverage you have questions about, add a comment to this post or send me an email through the Contact page.